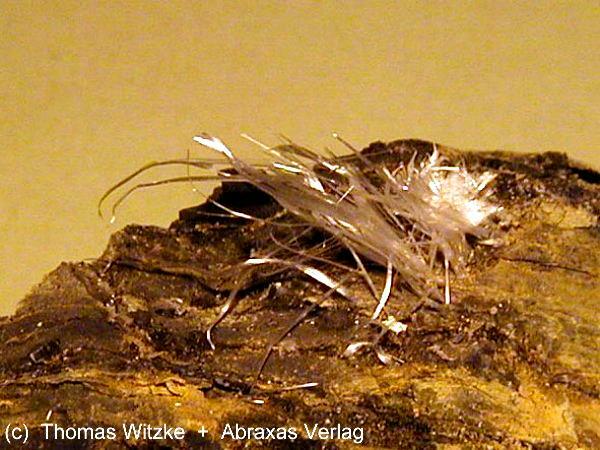 Comments: White, fibrous halotrichite on rock. Location: Willi Agatz Mine, Dresden, Saxony, Germany. Scale: Picture size 4.5 cm.